Lillies Irish-Victorian Bar and Restaurant. 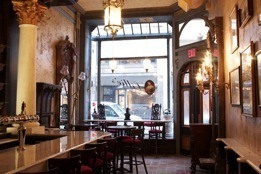 Join other Meetcha singles at this NYC Irish-Victorian Bar and Restaurant with quite the history. Recuperate from St. Paddy's day with hearty Irish fare, appetizers, yummy bar menu, even hearty Irish breakfast (served all day). Appetizers start around $7.